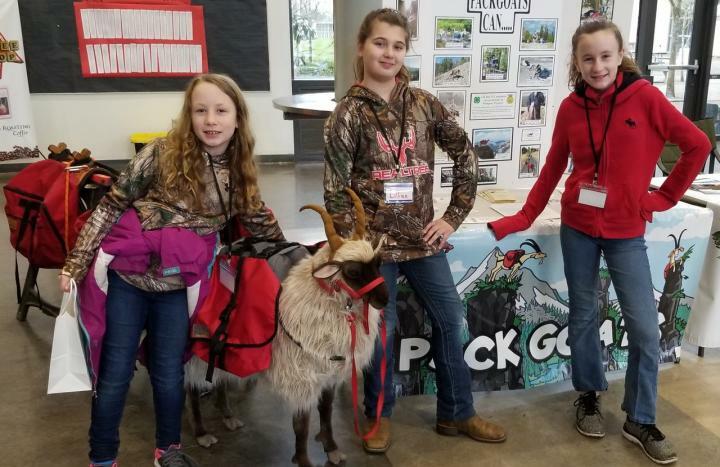 The 2019 Northwest Oregon Dairy Goat Assoc. Goat Conference (the 31st annual goat conference!) will be held on February 23rd in Clackamas, OR. NAPgA President Curtis King and I will be teaching a goatpacking class. There is a class taught by Sheila Thyssen on Long Distance Traveling with Goats that is fabulous! It's a must-take class filled with excellent tips and information. Here is a list of the speakers and their classes. Which session they are presenting in will be announced sometime this week. 18 Alex Appleman - How Can Breeding Mr. EX 91 to Mrs. VEEE 91 Produce Miss V+VV 84? 37 Lichen June - "What is Permaculture? A Fun, Fact Filled Introduction For Goat Owners"
Sounds great! I wish we could be there. Is there any chance you and Curtis could get your talk on video? 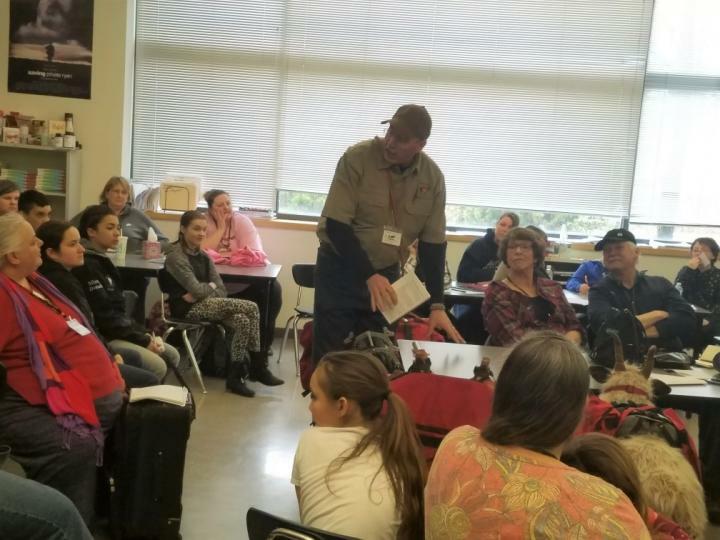 NAPgA President, Curtis King, and I had an outstanding turnout for our goatpacking class! 35 people including those getting ready to buy their 1st goats to seasoned goat owners. Several 4-H youth, their leaders and lots of adult attendees. 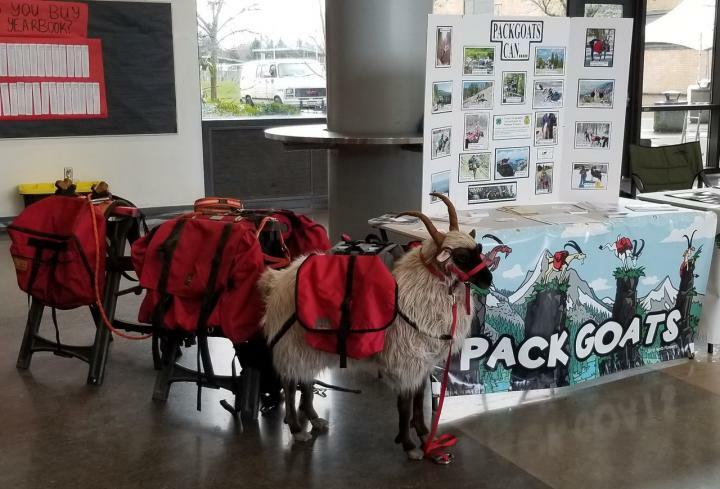 There was a lot of interest at the packgoat display. "Dolly Lamba" (my life size sheep) dressed in her goatpacking gear and sporting new horns was a HUGE hit! Both Curtis and I had people ask us to take photos with their phones of them with Dolly. We reached a large number of people and hopefully will have new goatpackers join our ranks! What fun! I'm so glad you had such a great turnout! Thanks for getting out there and "spreading the love" for packgoats. Maybe in a few years you guys will have enough people with their own packgoats that you could run a packgoat obstacle event at this show. Wouldn't that be fun! Do you know if Curtis was able to sell any of those calendars? Current time: 04-21-2019, 09:01 PM Powered By MyBB, © 2002-2019 MyBB Group.